If you haven’t heard of it already, Wes Anderson’s newest film, “Isle of Dogs” has hit the big screens, and it’s made a name for itself as a visual stop-motion masterpiece. The film takes place in fictional Megasaki City, where propaganda and general suspicion has driven society to blame dogs for a recent outbreak of the flu. In response, the government has exiled all canines onto “Trash Island”, where, supposedly, their influenza will be kept away from the city’s population. The action film is particularly gory for an animation. It’s meant to be entertaining and whimsical, in that Wes-Anderson-way… but the aesthetics of the production have some sharp edges. For starters, he setting—Trash Island—is pretty bleak. As the dogs wander sterile mounds of trash and dirt, the audience can’t help but be reminded of the hordes of plastic that are clogging our oceans, and the miles of land that have been overtaken by our forgotten waste. By placing dogs into the scenario (because who doesn’t love dogs), Wes Anderson’s film reminds us that we can’t deal with the unwanted by putting it to the side or trying to ignore it. As the waste problem around the world becomes more of an epidemic, we have to face the fact that we can’t just turn our gaze from the ugly. Either we find a way to fix the problem, or we, too, will be stuck in a habitat much like the bleak desert of Trash Island. 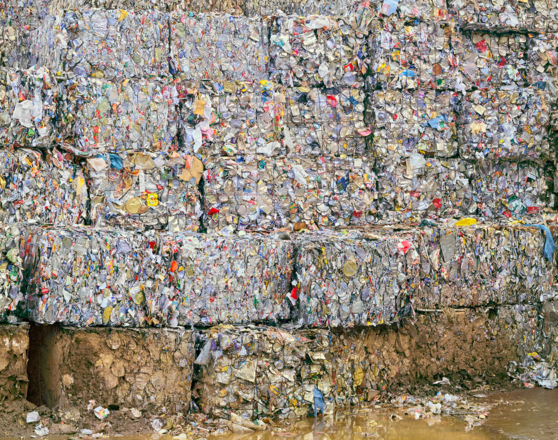 Interestingly enough, the inspiration for the design of trash island actually came from photos of real-life landfills. The designers for the film took particular interest in two photographers whose work encapsulated the mess that mankind has created for itself. The first artist that captured the designer’s attention was Edward Burtynski. 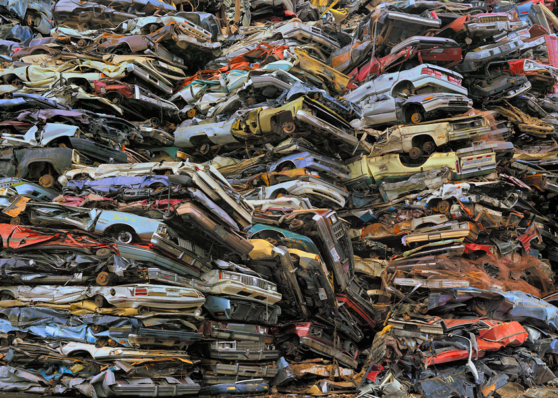 Burtynski’s images of the industrial side of pollution showed them man-made destruction on a large scale. They were fascinated by the way Burtynski’s photos were simultaneously daunting and beautiful. The designers hoped to create a world that achieved a similar duality. The second muse for the film was Chris Jordan, an eco-artist whose work aims to find the “root cause of all human destruction”. 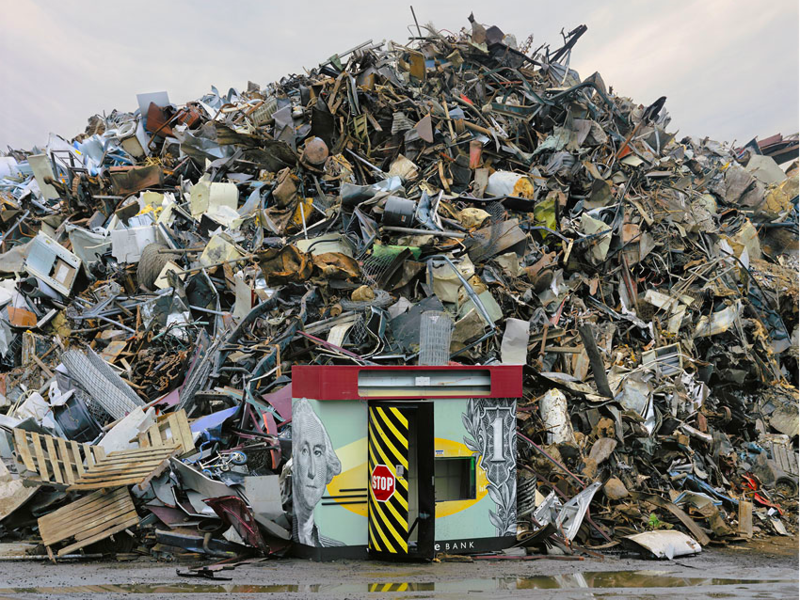 His photo series, Intolerable Beauty: Portraits of American Mass Consumption (2003 -2005), shone a light on the drastic amount of waste that people produce. According to Harrod, the texture and movement of Trash Island were based largely on the images in this series. The producers of Isle of Dogs took inspiration from these artists because, while their images are depressing and shocking, there’s a strange aesthetic appeal to them that the viewer just can’t move their eye away from. 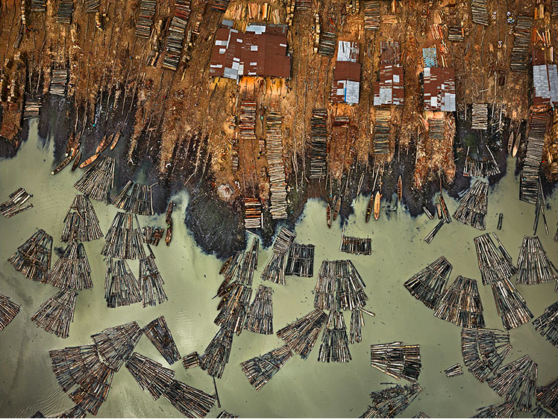 By taking from real-life images of environmental destruction, the designers hoped to shock and engage their viewers. Based on the critical acclaim that the film has received, it seems that this melding of photography and cinematography was successful.